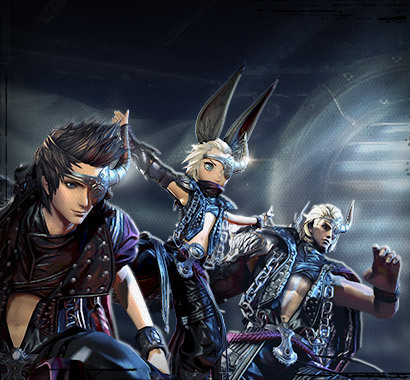 The May 9 update brings various balance and mechanics changes to Blade & Soul. With the Blade & Soul: Eternal Night update we’re making a number of improvements and changes to the game’s systems and items. Read on for an early look at some of the changes before the update releases on May 9, and be sure to keep an eye out for the full patch notes next week. We’re balancing rewards to put more focus on newer dungeons. Older heroic dungeons such as Avalanche Den, Lair of the Frozen Fang, and Awakened Necropolis are having their gold and material rewards reduced significantly, while more recently released heroic dungeons such as Naryu Sanctum, Irontech Forge, and Ebondrake Lair, will see their gold and material rewards rebalanced based on the amount of time and effort required to complete each dungeon. In general, you’ll see more guaranteed rewards in the Treasure Chests from the newer dungeons. The majority of the rewards however are being moved to/offset by a significant increase to the material rewards provided by the Daily and Weekly Challenges. As an example, here are some of the changes being made to the rewards for Naryu Sanctum. The changes being made to dungeons are pretty broad and sweeping, but the overall summary is that older dungeons are having their rewards reduced to incentivize running newer dungeons, the Daily and Weekly Challenges are going to be a much bigger part of your material focus, and newer dungeons are having their rewards streamlined to provide a better play experience. *Ancient Stone Chest Fragment, Ancient Stone Chest, and Ancient Stone Key can be exchanged via the Antiques UI starting May 9. 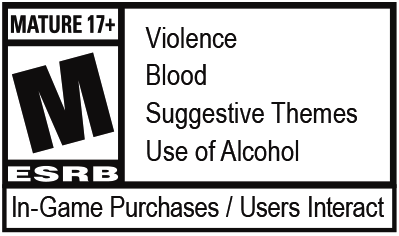 Materials used in weapon and accessory upgrades are being rebalanced to incorporate more of the materials that players are obtaining through the gameplay those items are used for, and we’re reducing or outright removing others. As previously announced on our forums, these changes aren’t an overall cost reduction, but shifting of materials from one to another based on which ones players are more commonly coming across. As an example, Seraph/Baleful Stage 1–6 reduces the Moonstone Crystals required which are largely obtained through PvP, removes Flower of Lament and Taikhan’s Skin (they’re in fact being removed from all upgrades along with Sealed versions and Petal of Lament, and will be Antiques as of May 9), and offsets that with increasing Soulstone Crystals and Elysian Crystals (slightly), as well as adding Sacred Crystals. Overall the relevant time/gold cost of the items required is effectively equal, but it rearranges them so you can focus more of your time and effort where it makes sense for the items being upgraded. Please note that our support department has a refund policy specifically for this rebalancing. Please refer to this Knowledge Base article before entering a ticket regarding these changes. 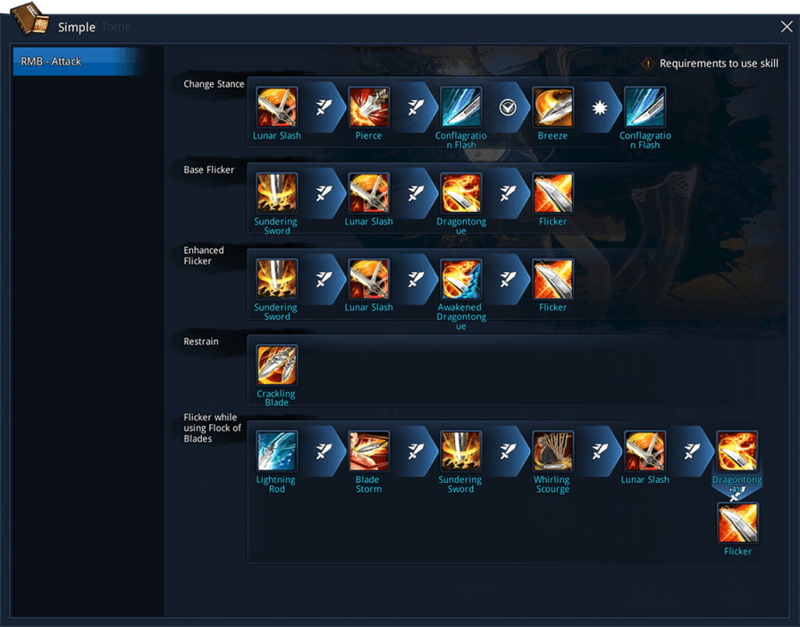 For Level 50 characters a new Simplified Controls option will be available while using the Blade & Soul camera mode. You can toggle this off and on in Settings under the Game>Camera section. With Simplified Controls active, pressing your right mouse button (RMB) will automatically cycle through predefined basic damage skills. You can see the skills and the order they’ll be used in specific situations in the Martial Tome with a new Simple button available in the bottom right. Here are some of the more impactful changes coming for items in the May 9 update. 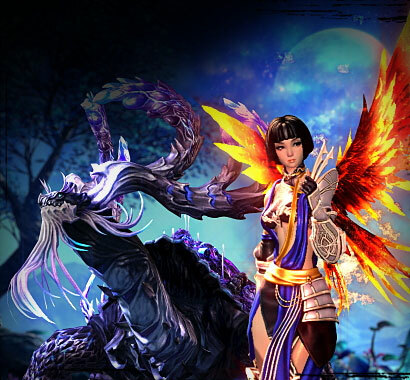 Reduced the amount of Transformation Stone and/or Sacred Oil required to upgrade Hongmoon Energy – Stage 1 through True Transcendent Soul and True Cosmic Soul. Gold cost has been slightly increased for most stages. True Transcendent Soul can now be upgraded to Dragon Soul, Awakened Dragon Soul, and True Dragon Soul using Sacred Oil and Blood Pearl. True Cosmic Soul can now be upgraded to Tiger Soul, Awakened Tiger Soul, and True Tiger Soul using Sacred Oil and Blood Pearl. True Ascending Soul and True Hongmoon Energy now cost 4 Brilliant Soul Sealing Charm to seal, down from 5. True Cosmic Soul and True Transcendent Soul now cost 12 Brilliant Soul Sealing Charm to seal, down from 20. 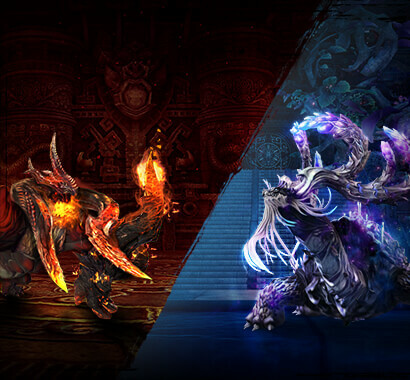 Hongmoon Pet Aura Stage 6–10 now increase Boss Attack Power and have an HP Recovery effect upon hit. Increased Boss Attack Power of Awakened Hongmoon Pet Aura and Unleashed Hongmoon Pet Aura by 10. Increased buff effects of Unleashed Hongmoon Pet Aura and Ultimate Pet Aura Stage 1-5. HP Recovery effects of Awakened Hongmoon Pet Aura and higher have been increased and also apply every second instead of every 2 seconds. Reduced the amount of Lunar Twilight Flower and Celestial Peach required to purchase Sealed Sacred Longgui Soul Shield Chest 6–8 from Celestial Peach Exchanger NPC Lee Youjin at Celestial Basin. Reduced the amount of Raven Feather required to purchase Raven Soul Shield Chest 1–8 from Shadowless Exchanger NPC Wei Ido at Shrine of the Ascendant and the Premium Membership tab in Dragon Express. Pet Pack is now Bound to Account and costs 50 silver each to mail. Sealed Sacred Oil is now Sacred Oil, and Sacred Oil is now Sacred Vial and uses a new icon. No changes to functionality. Sacred Vial now costs 1 gold 50 silver each to mail. Premier Hongmooon XP Charm created via Transmutation after the update will have a 24 hour cooldown on use. Awakened Mechanizer Bracelet Stage 1-3 now provides 13/14/15 Attack Power, up from 12/13/13 Attack Power. Divine Grace Stone now drops in Ebondrake Lair and the droprate from Irontech Forge has been increased. Transcendence Engine has been replaced with Awakened Trasncendence Engine in Irontech Forge and the droprate has been increased. Awakened Transcendence Engine now also drops from Ebondrake Lair. Awakened Transcendence Engine can be exchanged along with 10 Void Fragment for a Hexagonal Obsidian from Dragon Express NPC Hu Yangim in Celestial Basin. You can now purchase Bodyguard and Swordsman Hat with Warrior Tokens from Tower Trader NPC Kangcha in Mushin’s Tower.